Rara Lake is the largest lake of Nepal, situated in Mugu district in the Karnali Zone in the far western region of Nepal, near Gam Ghadi (district-headquarters of Mugu) and Talcha airstrip. It takes around 3 to 4 days of walking/trekking to reach Rara from Jumla. 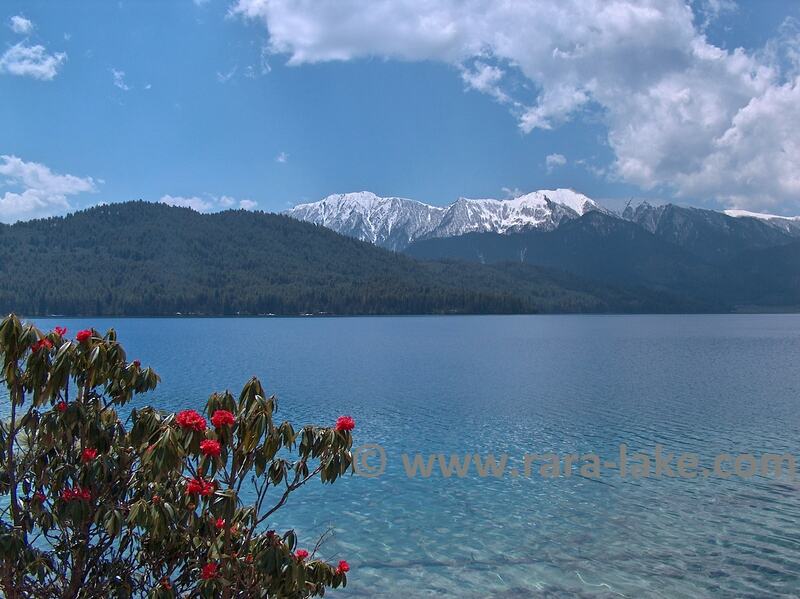 The surface of Rara Lake is around 8 square kilometer and the perimeter 9 kilometer. The length of the lake is 5 kilometers and it is 2 kilometers wide, the altitude around 3060 meter and the max. depth is 167 meter. Rara is an unique spot in Nepal. The lake is situated in the Rara National Park and because of its remote location and the violence/threat of the Maoists the lake has been visited by only few tourist in the last couple of years. Only in the second half of 2006 the situation improved and foreign visitors do not need to pay the high fee of around $100 per person to the Maoist anymore. Rara was declared a National Park in 1975 following the order to protect the lake by King Mahendra after his 1964 visit.